In Samuel Johnson's dictionary, oats were defined as "eaten by people in Scotland, but fit only for horses in England." A Scotsman's retort to this is, "That's why England has such good horses, and Scotland has such fine men!" The Scots began to harvest oats sometime in 1,000 B.C. The oats were formed into oatcakes, substantial and filling—hearty sustenance for the starving population. In 1297 A.D., I have no doubt that oatcakes filled the stomach of William Wallace in the fields of Bannockburn as he battled Edward the Longshanks for independence. Had those cakes evolved to include nuts and raisins? Alas, we will never know, but by the turn of the 20th century, oatcakes had become cookies and they were labeled as a "health food." The Quaker Oats Company provided a recipe on the back panel of each container, and that is where our story really begins. Over the years, the original recipe has been revised, but here is the original—the one that most cooks reach for. Preheat oven to 350 degrees. Cream together butter and sugars. Add eggs and vanilla; beat well. In a separate bowl, mix together flour, baking soda, cinnamon, and salt. Add dry mixture to the butter/sugar mixture and mix until well combined. Stir in oats and raisins; mix well. Drop by rounded tablespoons onto ungreased cookie sheet. Bake 10-12 minutes or until golden brown. Cool one minute on cookie sheet then transfer to wire cooling rack. For bar cookies, bake 30-35 minutes in an ungreased 13×9 inch metal baking pan. America's Test Kitchen in Brookline, Massachusetts, was founded by Christopher Kimball 19 years ago. His philosophy was that there is a "single best way to make a dish" that leads to "nearly bulletproof" results. Mr. Kimball moved on to other endeavors two years ago, but America's Test Kitchen continues in the fine tradition of using science and methodical, precise testing to arrive at the perfect formula for well known, loved dishes. 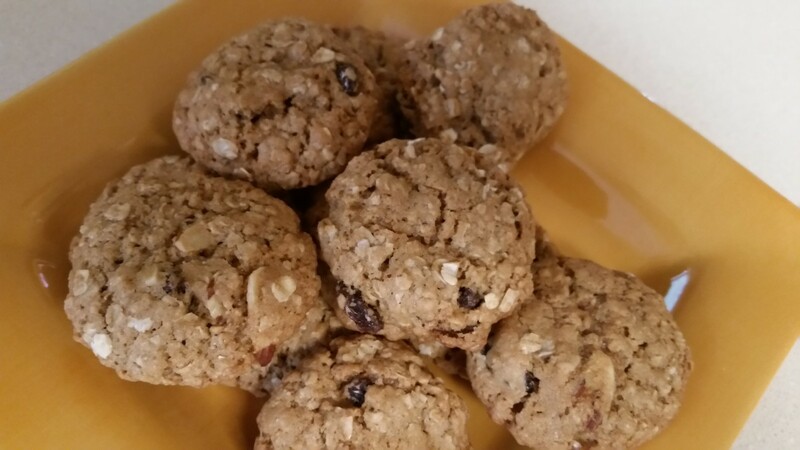 Recently, the baking staff of ATK baked dozens of batches of oatmeal raisin cookies to find the perfect proportion of oats, flour, sugar, and eggs to create a flawless cookie that is crisp on the edges, soft and chewy (not cake-like) in the center and boasts a pronounced oat flavor. The recipe shown below (ingredients and measurements) is taken from the ATK website, but the narrative (instructions) are my own. 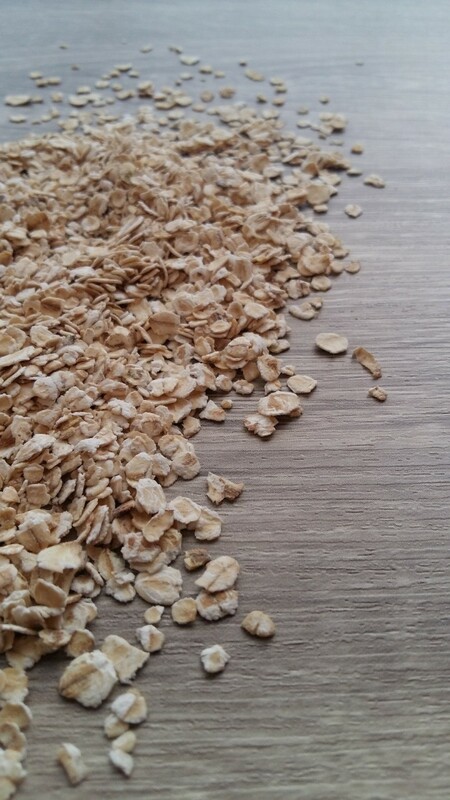 For the proper texture, you must use rolled oats. 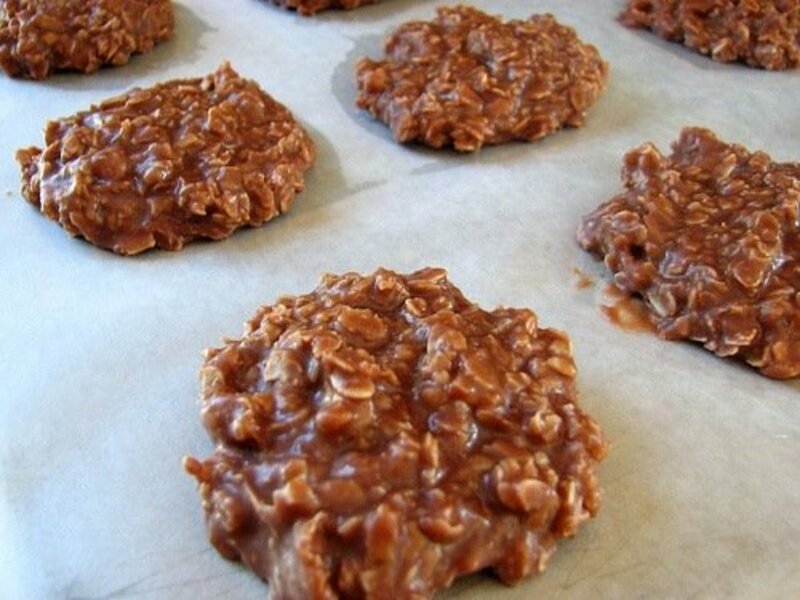 Quick or instant oats create a gummy cookie. On the other hand, steel-cut (Irish) oats or Scottish oats are actually too much of a good thing. The groats will not soften in the relatively short baking time and your resulting cookie will be a mouthful of grit. Many recipes (look at the original) rely on butter—LOTS of butter. That's fine for a cake, where you want to achieve a fluffy, light texture but is counter-productive if you want a cookie to feel like a cookie. ATK reduced the butter to 4 tablespoons, enough so that you still have a subtle buttery flavor. Cooking oil is substituted for the remainder of the necessary fat. 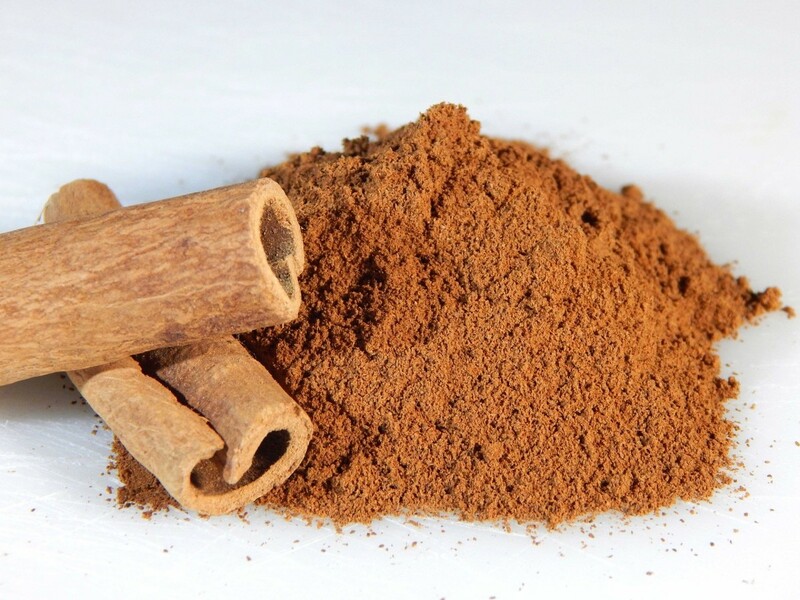 An oatmeal cookie is about the oat flavor, not spices, so ATK reduced the cinnamon to 1/4 teaspoon. Stirring it into the melted butter will help the flavor to "bloom" without being overpowering. 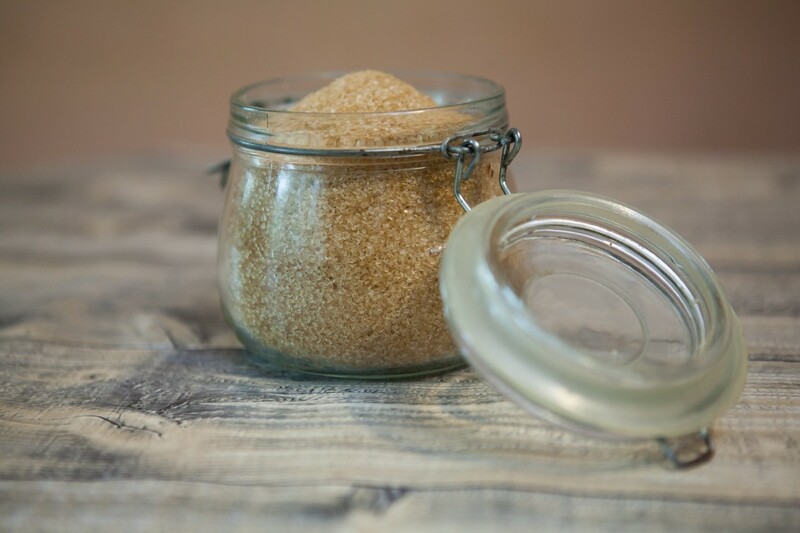 Sugar has hygroscopic properties, meaning that it grabs and holds onto moisture. Light brown sugar does an even better job of this than white granulated sugar. But, don't assume that if a little is good, more is better. 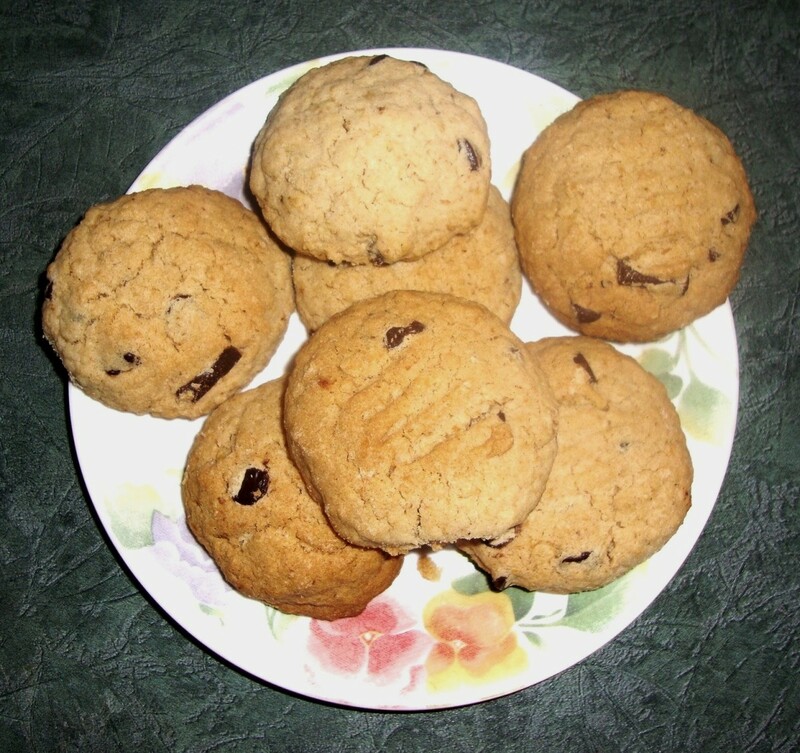 Dark brown sugar has a much higher percentage of molasses and will add dark flavors to your cookie that, although delicious, will mask the oatie taste. So, now that we've discussed the key ingredients, let's take a look at the new (and improved) cookie by America's Test Kitchen. Prepare two large rimmed baking sheets by lining them with parchment paper. Set aside. Combine the rolled flour, salt and baking soda in large mixing bowl. 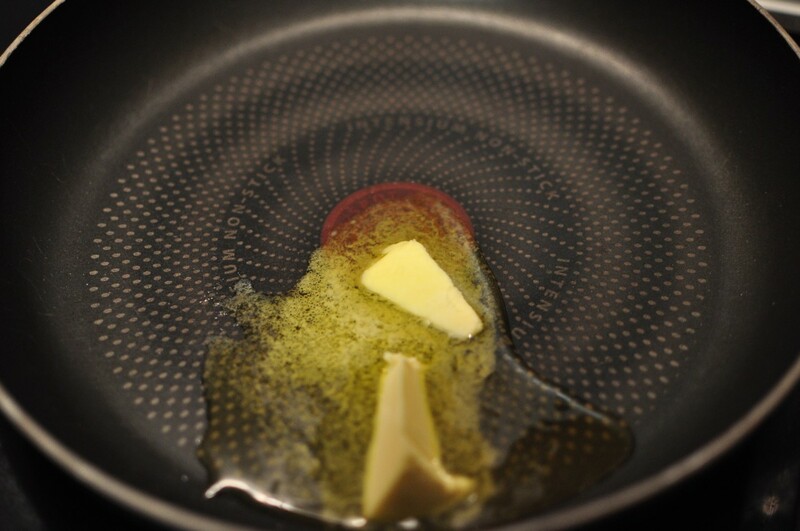 Place the butter in small saute pan and melt slowly over medium heat. It helps to swirl the pan occasionally. However, be careful. This is not the time to step away from the stove. Melting butter can turn from brown to burnt in seconds. As soon as you see the color begin to change, immediately remove your pan from the heat. Pour your melted butter into a large bowl, and stir in the cinnamon. Add the oil and sugars. Stir together. Add the egg, egg yolk, and vanilla. Stir until well blended. Add the flour mixture. You'll probably need to use a sturdy spoon as the mixture will be quite stiff. Finally, add the oats and (if you must) the 1/2 cup raisins. (I am allowing my bias to show here. Not a fan of the raisin). 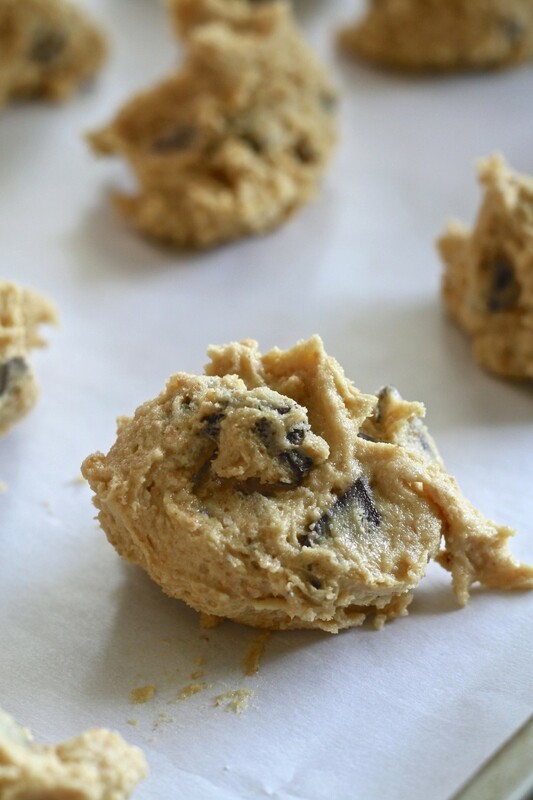 Use about 3 tablespoons of dough per cookie. Space your cookies about 2 to 3 inches apart on the prepared pan (you should get about 10 cookies on one rimmed sheet). Flatten the cookies slightly with wet hands (this keeps the dough from sticking). 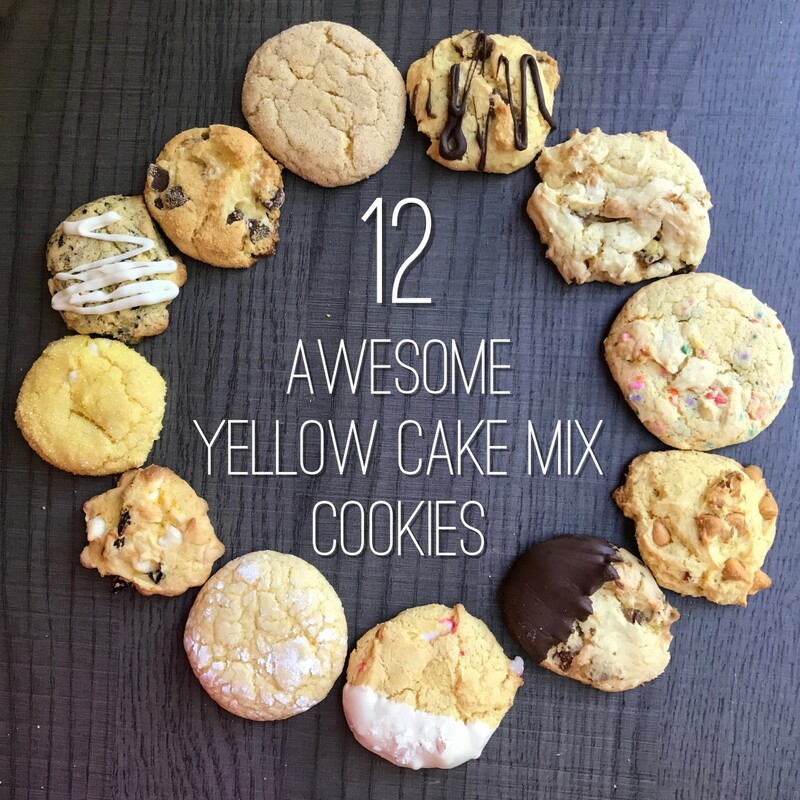 Each cookie should be 2 1/2 inches in diameter. Bake 10 minutes in preheated oven. Remove from oven and allow to sit on hot tray 5 minutes, then remove to cooling rack. Amanda introduced herself on the blog RunningWithSpoons as a health coach, cookbook author, recipe developer, makeup junkie, and oatmeal addict. She is dedicated to proving that healthy eating doesn't have to be bland or boring, one delicious snack and dessert at a time. She certainly does that with this breakfast bake—it's healthy, easy, and gosh it tastes just like an oatmeal cookie! 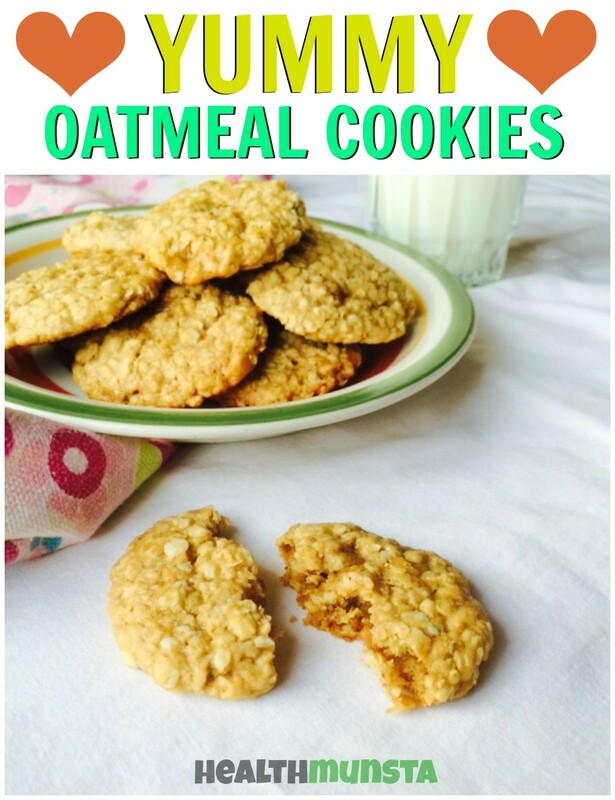 What's better than a homemade oatmeal cookie? What about an oatmeal cookie crumbled and folded into homemade vanilla ice cream? 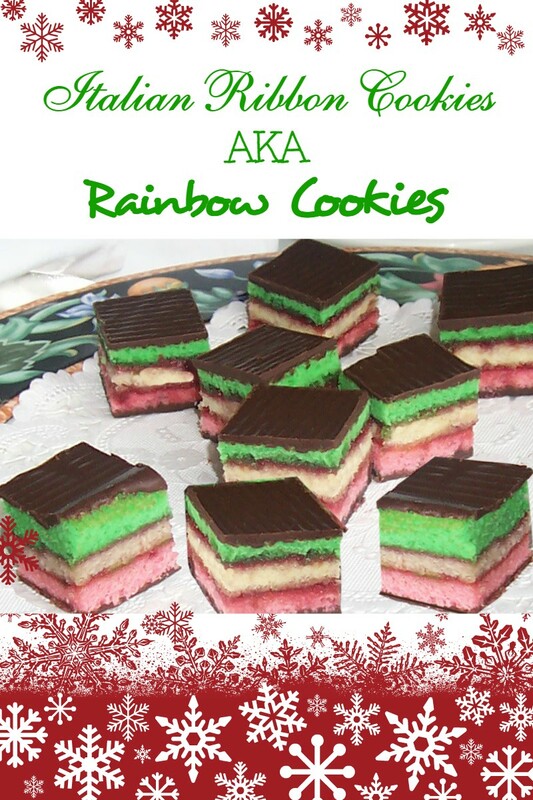 Mary Younkin (BarefeetInTheKitchen) developed this easy-peasy recipe. If you have an ice cream maker and the patience to wait for the mixture to freeze (I'm horrible at doing that), you can have a phenomenal batch of ice cream for your family. I originally posted this recipe for the oatmeal crust, but I had to come back and add two more pictures so that you could see the entire creation. 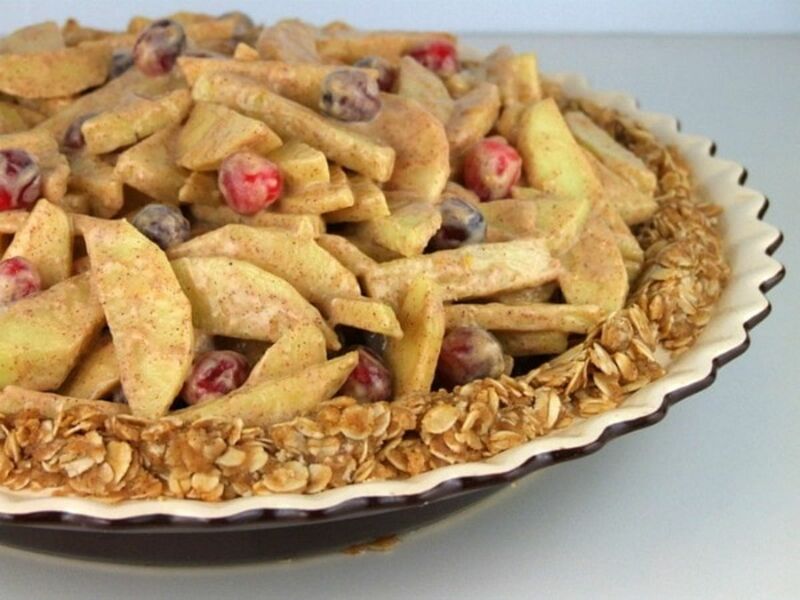 That's cranberries and cinnamon-dusted apple slices going into that pie crust. Not only does the crust taste like a cookie it's also a snap to make for those who are afraid of rolling out pie pastry. The crust bakes right along with the pie filling, so I'm thinking that perhaps you could bake your favorite pumpkin pie in this crust too. That's what I'm going to do. Thanks to Lori Lange (RecipeGirl) for this great recipe and beautiful photos. Patricia, when I saw that you had left a comment for me, I smiled before even opening it, because I knew it would contain positive words of love. I have come to anticipate nothing less from you. I hope your grandson likes these new cookies. I suspect that anything made by you with love will be gobbled up for sure. My grandson asks for the Quaker Oats, vanishing cookie, recipe this time of the year. I will have to give the 'new' recipe a try. I recently made him some using applesauce in place of the butter and much to my surprise he liked them, a lot. It did change the texture of the cookie but it was still a great little cookie. thank you for sharing. And thank you once again for stopping by my pages to share your heartfelt comments. Thanks Lawrence. Always great to hear from you, and I will check out that hub. Great stuff here, just one thing, don't ever call these 'oatcake cookies' to an Aussie or Kiwi! To them they're 'Anzac' biscuits as thry were the only food that would survive the journey from 'down under' to the Battlefields of WW1! They were sent by 'Mums and sisters' to the soldiers at the front and are part of our Anzac day celebrations! Just thought id share that with your readers. Ps. I do have a hub out about the Anzacs. Thank you Ann. I'm not much of a cereal fan, but there's something about oats that make me think warm, cozy, cinnamon spice and everything nice. Perfect for a cold winter day. A warm cookie and a cup of hot chocolate--how's that sound? What a great collection of fantastic recipes! I love oats so will be trying some of these in my bid to cook more for fun! Love the quote at the beginning - never heard it before. Natalie, I'm so glad that you stopped by. Thanks for your sweet comments. I'm planning on using that oatmeal cookie crust recipe with my "world famous" brownie pie. What do you think? 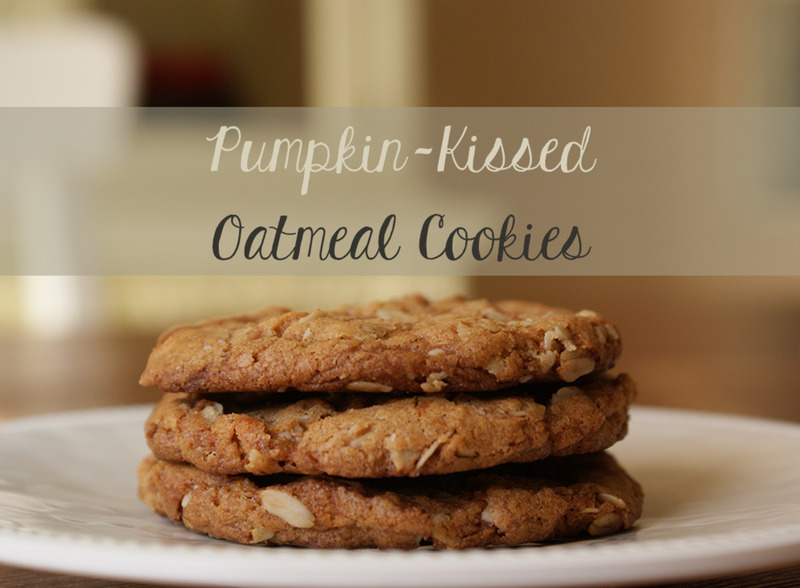 I love oatmeal cookies and this seems like a yummy recipe! I'll have to try it sometime. And the other recipes look incredible. 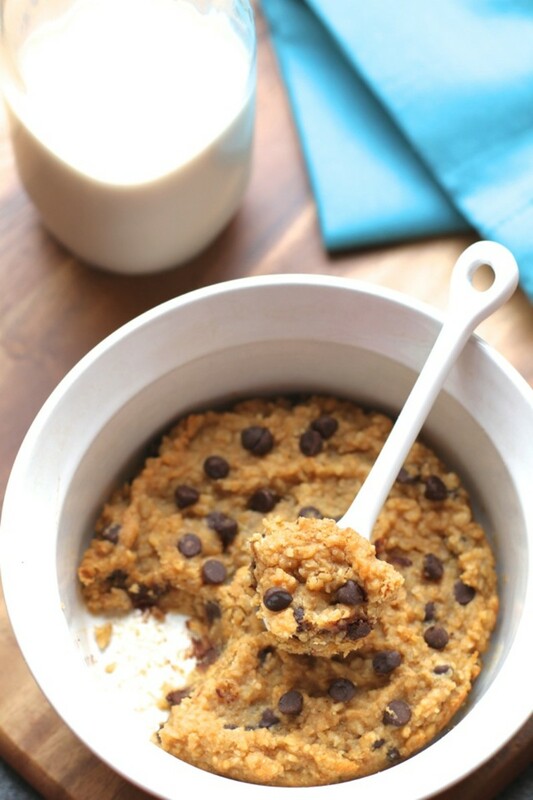 Who thought you could have oatmeal cookie dough for breakfast and not feel guilty about it? 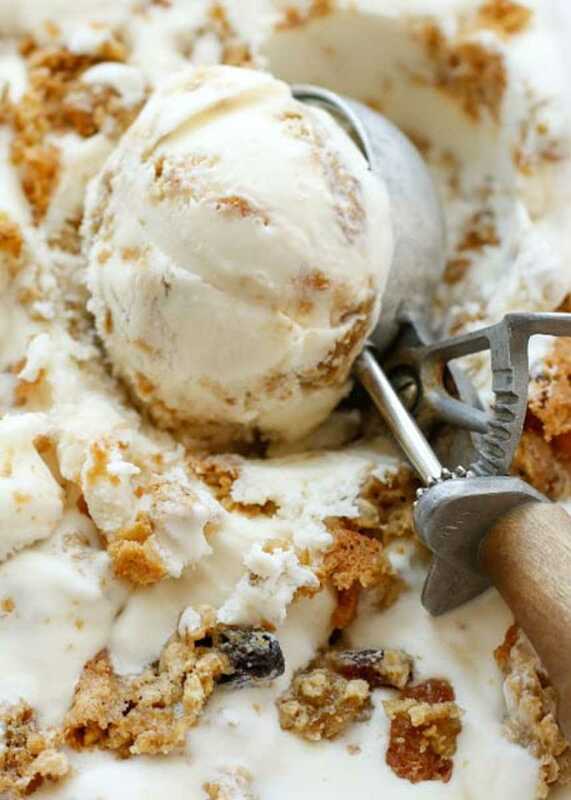 I've never even considered oatmeal cookie ice cream but it's next on my recipe list! Thanks. Thank you Manatita. Yes, all of us have much for which to be thankful. I think you are amazing! What knowledge you show! You left out the Germans, though. Weren't they supposed to be awesome at oats and morning treats? It it said that it made them stronger and more industrious, no? I love the Scottish answer and yes, I forgot that white/European Americans would naturally be taught British history. Good on ya. Happy Thanksgiving, my sweet. Shauna, my younger daughter is in charge of dessert this year, so I don't think the crust will be in the rotation (this time), but I'll be sure to report when it IS used and how it turns out. Have a wonderful Thanksgiving, my friend. I love oatmeal cookies. 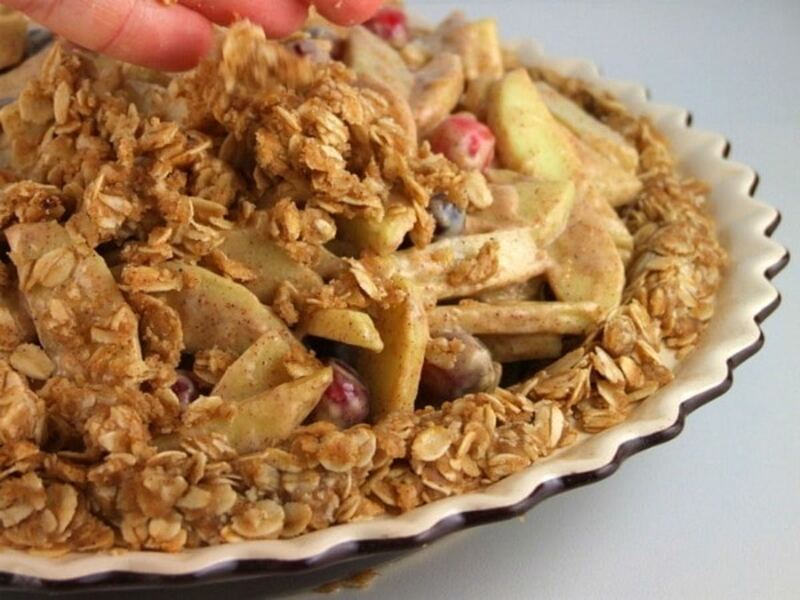 Your oatmeal crust looks good, Linda. Let us know how it paired with pumpkin pie. Peggy, Flourish suggested that the oalmeal crust would go well with a pumpkin pie. I can imagine chocolate in there (I have a recipe for a brownie pie that makes people swoon). I have my grandmother's oatmeal cookie recipe which is great. I'll compare yours and see what the differences might be. 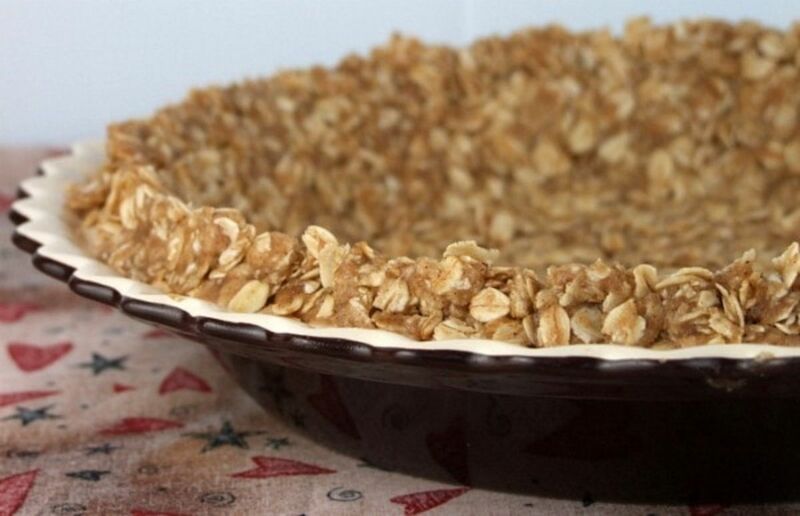 Using oatmeal for a pie crust interests me. Thanks! Thanks Bill. 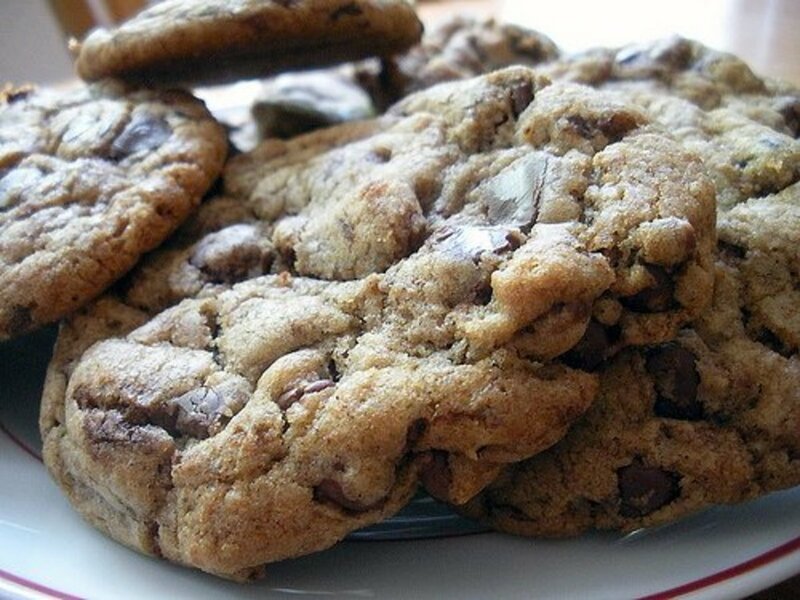 Substitute chocolate chips for those pesky raisins and you might just have the perfect cookie. Just sayin'. Gotta run...wishing you a very peaceful, thankful,and loving Thanksgiving! Pamela, you are so very welcome. I have so much fun doing this. I am going to have to compare this oatmeal recipe to mine. I have one we all love, but it is a little work. It must be refrigerated for a period of time before baking, but they are good. This one sounds so easy I will pull mine out and check out the differences. Thanks again for another good recipe. I like this. I do bake oatmeal cookies but they are never consistent. Sometimes, they're great but sometimes, not so. Having a reliable recipe helps. I will try doing this. I often reduce the sugar as it can be too sweet. Have a suggestion on this? Awe, Flourish, thank you so much. I hope you have a wonderful holiday. See you next Monday! P.S. Have you ever done a playlist for foods? Whoa, is this ever filled with so many delicious possibilities! With the holidays right here, I'm thinking add a pumpkin cheesecake somethin' somethin' to that crust and people at the table won't be able to resist, or pour some chocolate syrup over that oatmeal cookie ice cream and the kids will love it. This is a super article, as always. I hope you have a fantastic Thanksgiving with all the trimmings.